Located next to Thanggam LRT station and conveniently linked of Singapore via the Tampines Expressway (TPE) and Central Expressway (CTE). 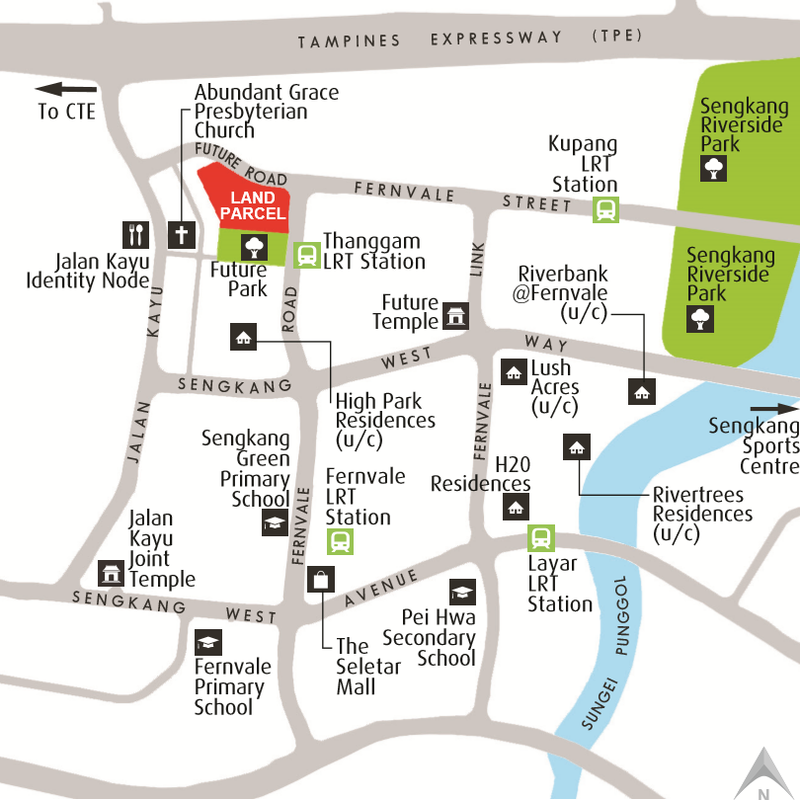 Close to shops and eateries at the Jalan Kayu Identity Node and amenities at The Seletar Mall. The future development is also convenient for families with school going children, with several schools located in the vicinity. Residents can enjoy a variety of sports and recreation facilities at the nearby Sengkang Riverside Park and Sengkang Sports Centre. 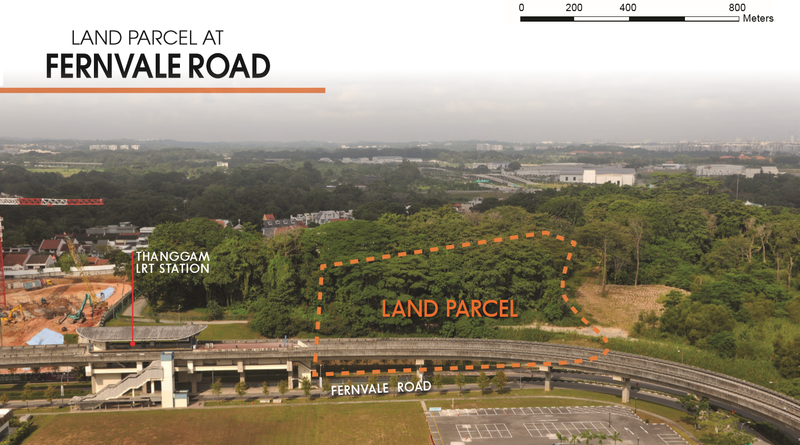 A 99-year leasehold private housing site along Fernvale Road in the Sengkang area has fetched 14 bids at a state tender that closed on Tuesday, Sept 27. The top bid, from a partnership between Sing Development and Wee Hur Development, was S$287.1 million, which works out to S$517.03 per square foot per plot ratio (psf ppr).This was just a tad above the next highest bid of nearly S$287.09 million (S$517.00 psf ppr) by China Construction (South Pacific) Development Co. Provisional tender results released by the Urban Redevelopment Authority showed that bids were also received from Allgreen Properties, MCL Land, Qingjian Realty, Hong Leong Holdings (jointly with City Developments and TID Residential), Sim Lian Land, Singhaiyi Investments, Chip Eng Seng and Nanshan Group Singapore. 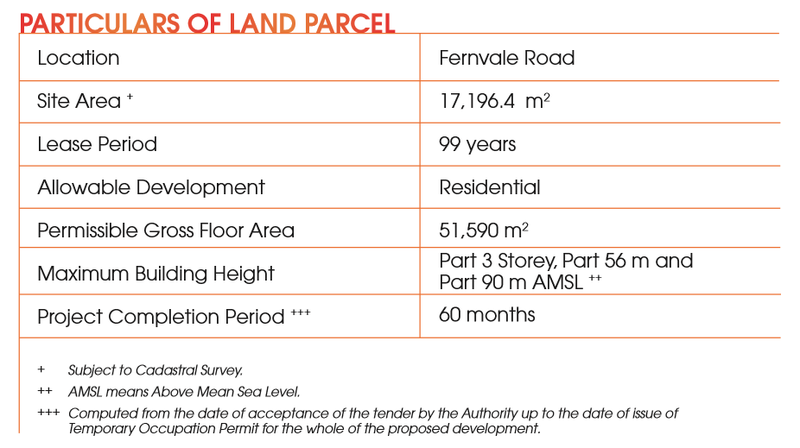 The lowest bid, from Kingsford Property Development, was S$223.23 million (slightly above S$402 psf ppr). The 1.7 ha site can be developed into an estimated 605 private residences. For more information on Parc Botannia By Sing Development, simply fill up your details below and our salesperson will get in touch with you shortly!